We currently offer a few SSL (Secure Socket Level) Certificate variations depending on which server your domain is mapped to. All accounts come with secure server access so that you can transmit sensitive information over the web knowing that it cannot be read by anyone else. *An email will be sent by the SSL Certificate supplier to the admin@ email address to authenticate the request. Please ensure that you can receive email sent to the admin@ address before placing an order. On our Cloud based servers we offer two solutions. This is low cost security ideal for any small business website. At Google I/O a few months ago, they called for “HTTPS everywhere” on the web. So not having a https:// may affect your Google website ranking. 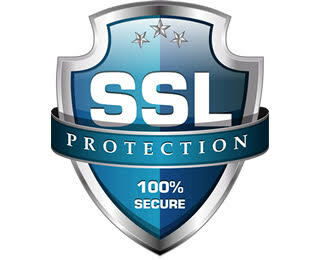 Currently we offer two SSL Certificate solution on the Multi servers. We have lowered our Simple SSL price for the SSL Certificate fully installed.